Hi guys!!! Are you enjoying your holidays?? Today, we're going to talk about the big TV icons who had done their bit to help to the fashion world. 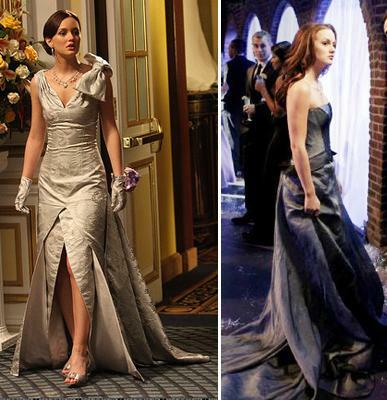 I wanted to start with the Upper East Side Princesses (Blair and Serena) of Gossip Girl (even if the series had finished some months ago!). Hola chicos!!! ¿Estáis disfrutando de las vacaciones? Hoy vamos hablar de los grandes iconos televisivos que han aportado su granito de arena al mundo de la moda. Quería empezar con las princesitas del Upper East Side (Blair y Serena) de Gossip Girl (aunque ya se me ha pasado el arroz) !! 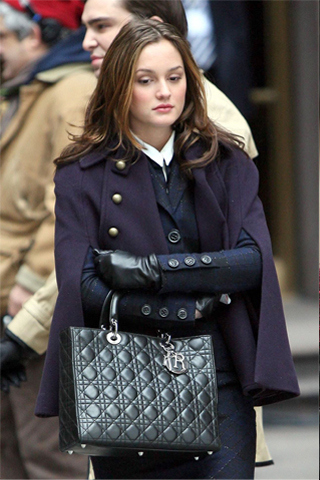 Blair Cornelia Waldorf (best known as "Queen B"): The absolute sovereign of the Big Apple's rich guys. 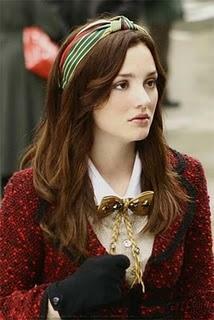 Blair Cornelia Waldorf (más conocida como "la reina B"): Absoluta soberana de los niños bien de la gran manzana. She bet on the typical college look: the bow on the neck, white shirts, skirts and socks (red, orange, white, with flowers...). The colours she prefered were white, dark blue, red and sometimes yellow. Apostaba por el típico look colegial : el lacito en el cuello, las camisas blancas, las faldas y las medias (rojas, naranjas, blancas, con flores...). Sus colores fetiche eran el blanco, el azul marino, el rojo y en ocasiones el amarillo. She has them of all types and colours but the double-breasted ones or like smocking jackets are those which have more importance... I can't choose one!! Los tiene de todos los colores y tipos, pero los cuzados o tipo batín son los que tienen mayor protagonismo... yo no puedo elegir!! 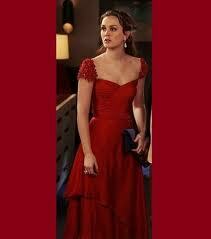 She choose classic, elegant dress and above all... with the objective to impress. Los elige clásicos, elegantes y sobre todo...con el objetivo de impresionar. 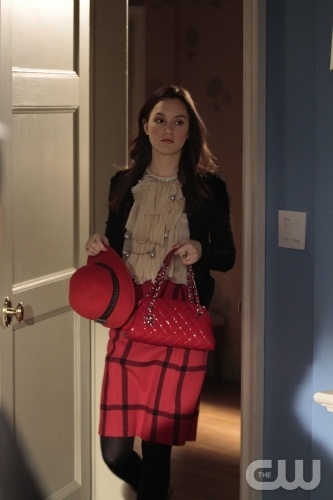 She loves mix patterns and fabrics. Adora mezclar estampados y tejidos. 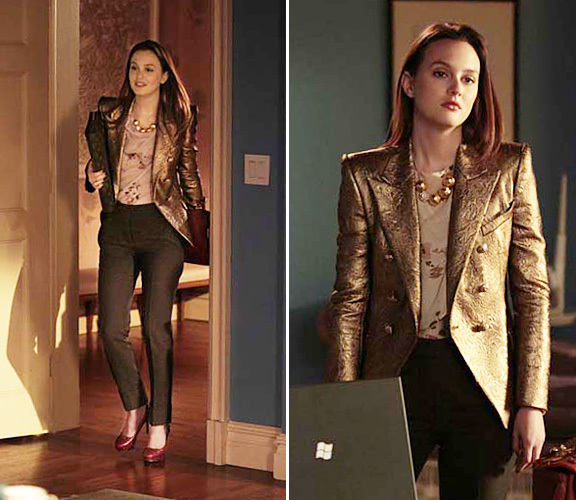 To see her wearing a pair of trousers is something special that no-one can skip (normally, she doesn't wear them) but when she does ... she's very stylish! 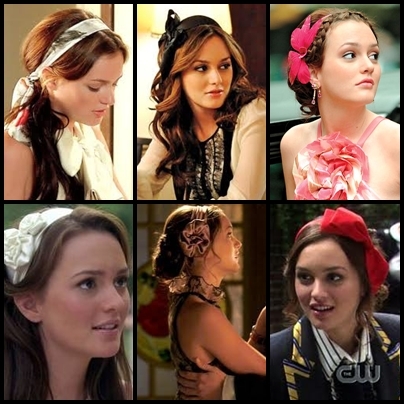 Speaking of Blair means speak about her headbands and coiffures. 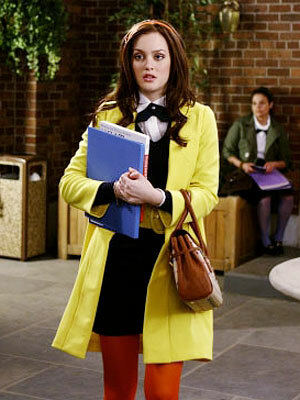 In the first and the second season we saw her wearing a lot of headbands: with flowers or a bow. In more, she worked a lot her hair making curls or very soft waves. 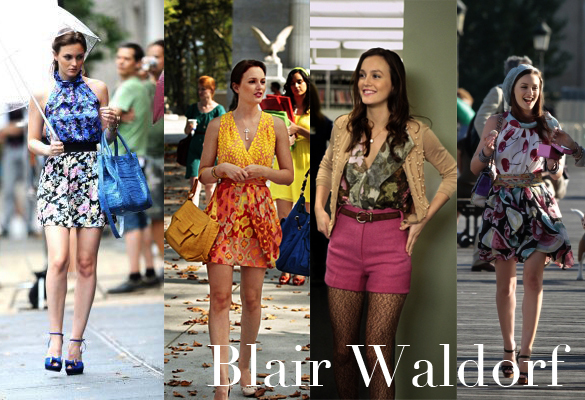 Hablar de Blair, significa hablar de sus diademas y tocados. En la primera y segunda temporada la vimos llevar un sinfín de diademas: con flores o de lazo. Además trabajaba mucho su pelo haciendose tirabuzones u ondas muy suaves. Since the third season she started to give up those types of head-bands and chose coiffures easier. During those two lasts seasons we've seen her opting more for hats. A partir de la tercera temporada empezó a dejar de lado este tipo de diademas y optó por tocados más simples. En estas dos últimas temporadas la hemos visto pasarse al bando de los sombreros. What has she taught us? : - She taught us that if we combine well, you can mix violet, yellow, green and gold. - She taught us that we have to risk: if we don't risk... we don't win! ¿ Qué nos enseñó ? : - Que si los combinamos bien podemos mezclar el lila, el amarillo, el verde y el dorado. - Que hay que arriesgar : si no arriesgamos... no ganamos! - The series stylists based on personages like Audrey Hepburn and Grace Kelly, with a touch of Olivia Palermo to create "the Queen B" special style. 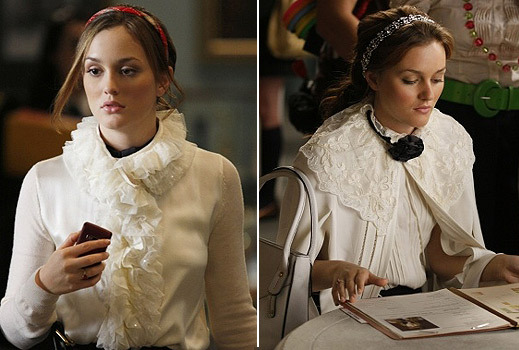 - She was the responsible of make fashionable again the headbands, until then they were considered young girls accessories. - Los estilistas de la serie se basaron en personajes como Audrey Hepburn y Grace Kelly, con un toque de Olivia Palermo para crear el particular estilo de " la abeja reina ". - Ella fue la encargada de volver a poner de moda las diademas, pues hasta entonces estaban consideradas complementos de parbulitos. 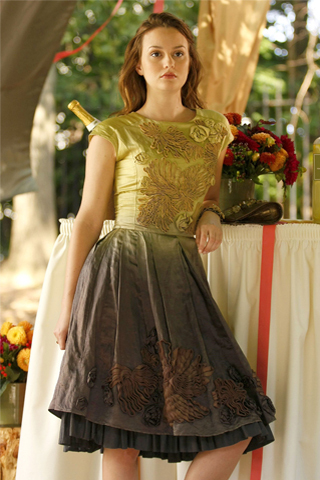 For those who had seen the series since the starting til the end, you would have noticed that her style had progressed from a college style to a look more lady, passing by periods of time when some people accused her of seem older. 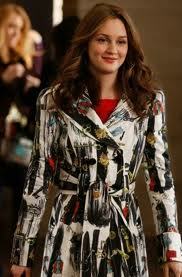 But even though he had known how to keep her exquisite style and abiltiy to mix pattern and colours. 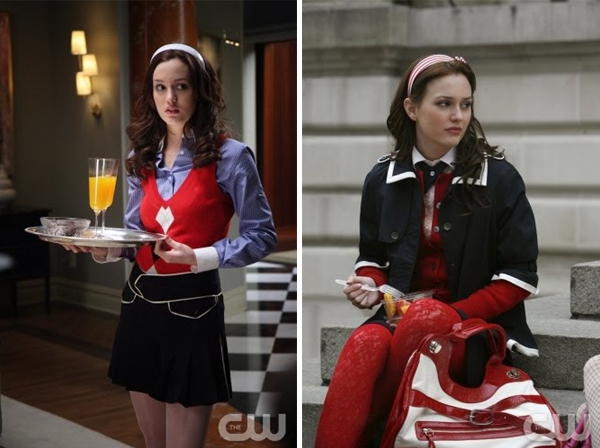 Para quienes habéis visto la serie desde principio a fin, habréis notado que su estilo ha evolucionado de un estilo de colegiala a un look más lady, pasando por épocas en las que algunos la acusaban de echarse años encima. Pero, a pesar de todo ha sabido mantener su exquisito estilo y habilidad para mezclar estampados y colores. "Whoever said that money doesn't buy happiness didn't know where to shop"
Well, here it finish the first part of the Upper East Side Princesses but on the next post we keep remembering the best friend-enemy's style: "S". I hope you've like and see you soon!! Bueno aquí se acaba la primera parte de las princesitas del Upper East Side, pero en el próximo post continuaremos recordando el estilo de su archi amiga-enemiga: "S". Espero que os haya gustado y hasta pronto! !